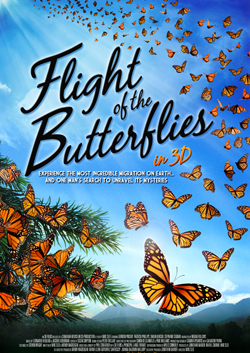 The North Carolina Museum of Natural Sciences, in partnership with the Consulate General De México in Raleigh and the Consulate General of Canada in Atlanta, is pleased to present this event celebrating the monarch butterfly migration across Mexico, the United States and Canada. Emlyn Koster, PhD, Director, North Carolina Museum of Natural Sciences. Remedios Gómez Arnau, Consul General, Consulate General of Mexico. Nadia Theodore, Consul General, Consulate General of Canada in Atlanta. Dr. Robert Healy, Professor Emeritus of Environmental Policy and Public Policy Studies, Nicholas School of the Environment, Duke University. Chris Goforth, Head of Citizen Science, North Carolina Museum of Natural Sciences. From October 20 through mid-December, monarch butterfly drawings from the 2017 global children’s art contest, “This is my Mexico,” will be on display at the Museum, an exhibit made possible by the Consulate General De México in Raleigh.